Work by the community of mid-20th century painters in Essex known as the Great Bardfield Artists fetches strong sums on the secondary market. 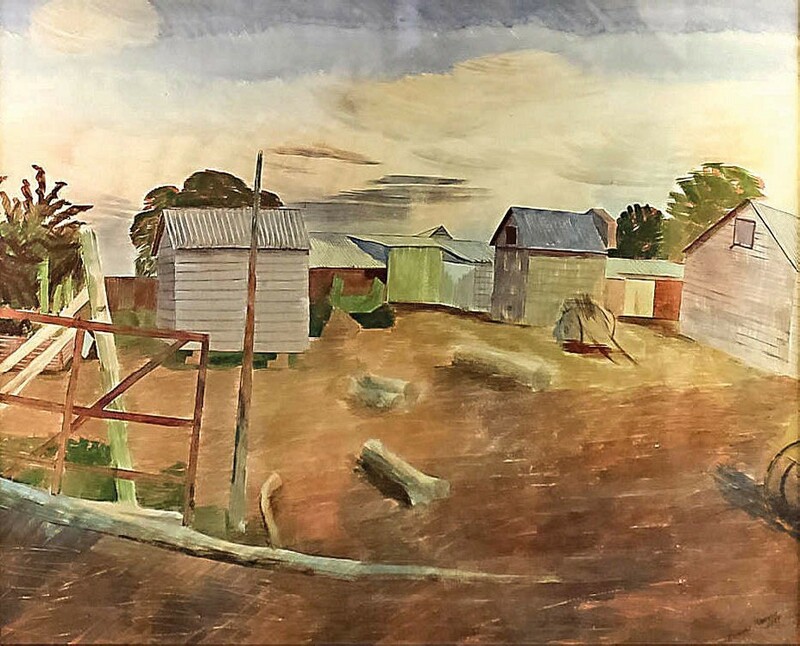 A painting by Edward Bawden (1903-89), one of the key members of the group, was among the highlights at Canterbury Auction Galleries (20% buyer’s premium) in Kent on October 2. Consigned from a local private collection, the signed 17 x 22in (43 x 56cm) watercolour of Ives Farm in Great Bardfield at dusk prompted a bout of quick-fire bidding that finished with a London internet buyer securing it on thesaleroom.com for £9500 against a £4000-6000 guide. The work, titled July 9pm and dated 1937, was exhibited two years ago at the Fry Art Gallery in Saffron Walden and is illustrated in James Russell’s book The Lost Watercolours of Edward Bawden published in 2016. Ives Farm, owned by local farmer Tom Ives, backed on to Brick House where Bawden lived with Eric Ravilious in 1925 and later owned after his wedding to Charlotte Epton in 1932. The farm features in a 1956 linocut Ives Farm, Great Bardfield and in other paintings including a watercolour, dated 1939, which sold for £4600 at Essex saleroom Sworders in 2014. Elsewhere in the Canterbury sale, a society portrait by Hungarian artist Artur Lajos Halmi (1866-1939) was knocked down to a Kent buyer for £3200, more than double the estimate. 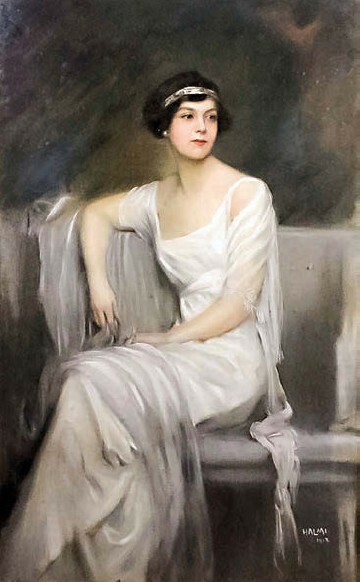 The 4ft 8in x 2ft 11in (1.42m x 90cm) portrait in pastel and bodycolour is thought to depict former ‘Gaiety Girl’ dancer Guinevere Sinclair, mistress and subsequently second wife of financier George J Gould. He was the eldest son of Jay Gould, the American railway magnate whose £150m fortune made him the world’s richest man at the time. Halmi had arrived in the US a few years before he painted this portrait in 1913 and already listed President William Taft and the Guggenheim family among his influential sitters. His portrait of another Gould family member, Gloria Gould, sold for $1800 at Bonhams New York in 2008. It was executed in pastel and is dated a year earlier, in 1912. Less than two years after her husband’s death, Sinclair married Viscount Dunsford, heir to the 1st Earl of Midleton. With the £1m left to her by Gould, she purchased Eastwell Park near Ashford in Kent, where Halmi’s portrait later hung.